Simply enter the address of any property above, all available plans associated with the property will also be shown in the results page. *Note: Manual searches are required for customers looking to search by plan number, please Contact Us for any searches not shown above. What is a Survey/Deposited plan? 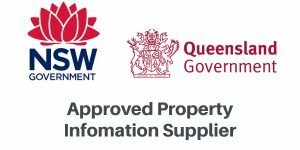 A legal survey exists for all land (lots) in Australia. Survey plans/deposited plans are the official record of the legal boundaries of land and will usually indicate the dimensions and size of a lot. Each State normally has different names for each plan, below are some common plans. NSW, Deposited plans are identified by a ‘DP’ number, e.g. DP 825510. The plans associated with the property are usually shown on the properties title, obtained from a Title Search. Dimensions of lots on the plan. notifications and encumbrances (lodged over common property only). A sewer service diagram shows the private wastewater pipes on a property. Selling agents, conveyancers and property owners use this diagram to check if the plumbing work on a property has been inspected or if there are any private pipes crossing the property. Crown plans are mostly survey drawings illustrating the land boundaries and physical features of specific parcels of land and may include references to early tenures and ownership of the land. The plans date back to 1792 and earlier. Over 40 per cent are still current and provide the survey diagram for a title. The remainder have been replaced by deposited plans and strata plans but are of historical interest and the basis of all later plans. Want to Subdivide your Land?